OverviewA landmark SNES game featuring the first 32meg cart to be released on the system. 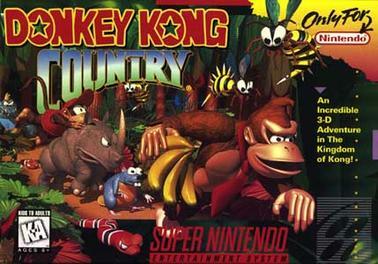 Donkey Kong Country was a revolutionary platformer, going on to spawn two sequels. Welcome to the first game in a legendary series. Donkey Kong's bananas have been stolen by the evil King K. Rool. Now he must team up with his monkey friend Diddy and reclaim them. A world of platforming awaits you. Keep an eye out though, there are secrets in each level. Find them all and you may win the praise of the appropriately named Cranky Kong. If you're wondering what the difference is between this version and the original or revision B is, each one uses different Game Genie and Action Replay codes. Now you can add videos, screenshots, or other images (cover scans, disc scans, etc.) 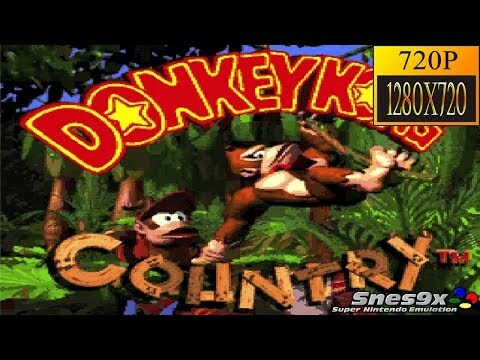 for Donkey Kong Country (USA) (Rev A) to Emuparadise. Do it now!